This mild weather is perfect for home renovation projects. For a cost-to-effect ratio, nothing can rejuvenate your home like a new coat of paint on the exterior. With these ten tips from professionals, painting becomes a stress-relieving activity rather than a chore. Using a quality paint means that you will have to paint fewer times over the years, along with better results on every job. Paint compositions have improved dramatically over the last decade and the new colors are guaranteed to last longer than previous generation of paints. If you are planning to save money by going for a cheaper brand, you are more likely to spend more in the long run. BEHR MARQUEE® is an excellent option, being anti-microbial and mildew resistant, it also requires fewer coats. You will have difficulty painting dirty or rough surfaces, so make sure to clean the trim and the siding of your house using a hose or a power washer. Allow it to dry and then sand the surface. Make sure you remove any peels of the old paint so the new coat has a solid surface to adhere to. Ryobi 2,000-PSI 1.2-GPM Electric Pressure Washer is an affordable solution. It doesn’t make any sense to paint rotten siding material, as it will continue to deteriorate even under the new layer of paint. You can replace the rotting siding or wood trim or, if only small areas are affected, apply a wood hardener combined with an exterior filler product. Remember to prepare and sand in both cases as well. Professional painters will always tell you to seal and cracks any crevices with a paintable caulk, apply a good coat of primer, sand and then paint the surface. While this rule still applies, new paint technologies have combined primer and paint into one product. Manufacturers claim that it cuts down the number of coats you need to apply. Although these new ‘primed’ paints are more expensive, compare them with purchasing separate primer and paint. Many online communities provide new paint reviews so look up what people have used in your area. Mixing multiple cans of the same color of paint into a larger container makes sure you apply a uniform color to the whole exterior. This technique is called boxing the paint and professional decorators often use it. It is especially useful if you initially bought two cans less than you needed and picked up the extra paint later. 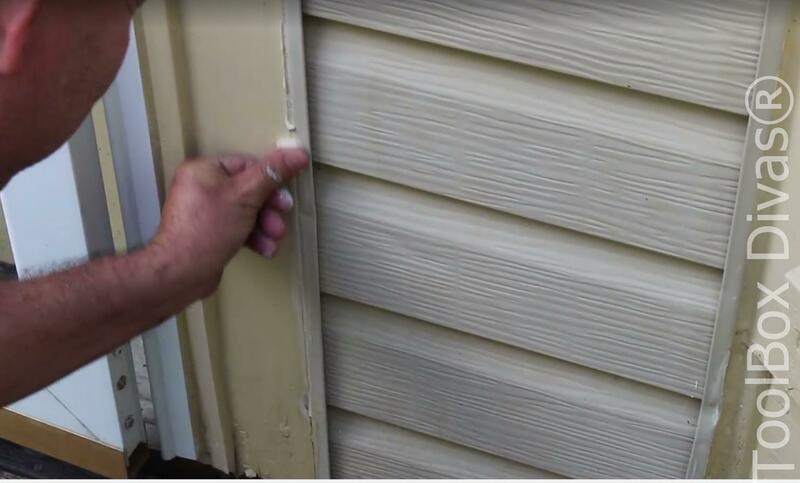 By starting at the upper parts of the siding you can control the streaks without returning to areas you’ve already covered. Instead of working against gravity, let it help you. There are going to be some drips, but using this method, you can direct them to the parts you haven’t covered yet. At the end of the working day, close your paint containers with their original lids and hammer the m lightly into place. This way you will prevent the paint from drying out. Add a film or plastic wrap to secure a tighter seal between the container and the lid. Newly painted porches, steps, and floors can become slippery once the smooth paint dries. By adding a little fine sand to the paint, you can add some traction to the surface. Even better, you can try applying an exterior paint that not only provides a decorative finish but is also resistant to mold and fungal growth. Not unlike interior decoration, exterior painting can be a messy job. Even more importantly, products you use may harm the vegetation below the area you are painting. Protect the ground and bushes with drop cloths, and cover your garden furniture, hoses, grills, etc. If you follow these steps, you’ll be able to paint your home exterior in a matter of days. While some traditional techniques still apply, feel free to use new technologies that save both time and money. Thanks for the tips to have the best results, when we decide to paint the exterior of our home. I had no idea that by spending the money on primer and sealing will save me money in the end. That makes sense that it will make it long lasting and there are even paints that have an all in one option. Your information was very informative and to be sure I don’t mess up, I think I’ll be contacting a professional painter. This is actually pretty helpful ideas, to begin with. Thanks! I like the tip of boxing the paint and adding texture. Here in the Pacific Northwest things can get slippery so adding something to the paint is a great idea.